Last year, Colorado Parks and Wildlife received hundreds of calls about bear encounters in Durango. With natural food more abundant this year, it has received significantly fewer calls. The San Juan Mountains’ bear population has been visiting town significantly less this summer with natural food more abundant. Last year, Colorado Parks and Wildlife received hundreds of calls about interactions with bears. This year, not so much. “It’s been very quiet compared to last summer,” said Joe Lewandowski, spokesman with the CPW Southwest region. A late freeze in 2017 reduced bears’ natural food sources. 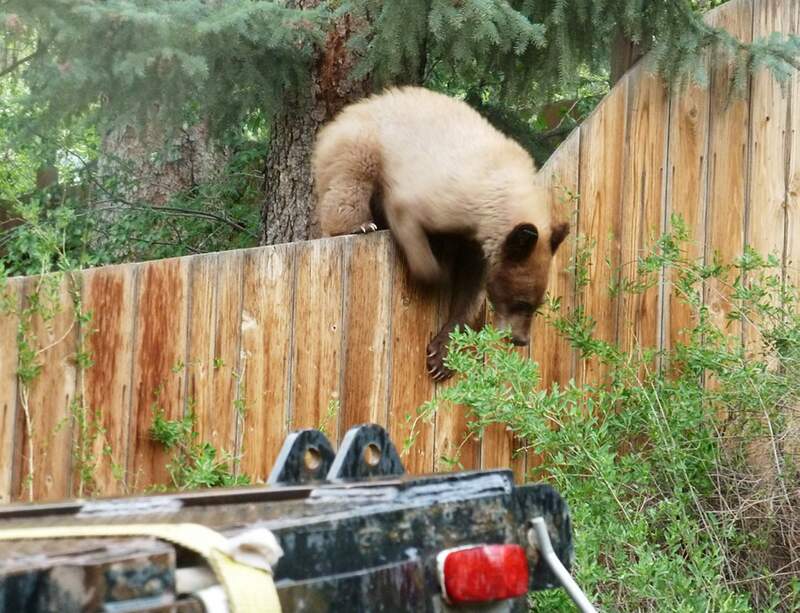 Because there was not as much natural food, bears resorted to searching for food in Durango. This year, natural foods have rebounded, which explains the reduction in urban bear encounters. Bear Smart Durango also reports fewer bear encounters this year. Executive Director Bryan Peterson says the group has received fewer than 50 reports. However, there may be an uptick in bear sightings in mid-August because that is when bears enter a period called hyperphagia, where they ramp up their feeding to prepare for hibernation. Earlier this year, La Plata County gave Animal Protection the authority to enforce its bear-trash can ordinance. The ordinance fines residents when wildlife gets into their trash cans. It is an effort to push residents to use of bear-resistant trash cans. Since Animal Protection was given the authority to enforce the ordinance on June 15, it has written one citation, received two direct calls and has not received any calls from dispatch, said Director Travis Woehrel. Even with the lack of bear activity, CPW has had to euthanize seven bears this year because of problematic behavior. Peterson says it is important to report bear sightings before their behavior becomes a problem. He said one reason people don’t report bears is because they are scared they will be euthanized. But Lewandowski said CPW can often avoid euthanization. Lewandowski said people should not be afraid to make noise to make a bear feel uncomfortable if it is in their backyard. Some tips to avoid bear conflicts beyond use of bear-resistant trash cans include removal of bird feeders and securely storing food while camping. “La Plata County is excellent bear habitat, so we’ll always have some conflicts,” he said.